The London Mortgages site is powered by MortgageShop.com and we have many years of experience sourcing the best deals for clients when it comes to shared ownership mortgages – having been trading since 1988 the first low cost housing mortgage we arranged was in 1992 when it was called DIYSO or Do It Yourself Shared Ownership! We have access to ALL shared ownership lenders that are available in the UK and a huge amount of past transactions under our belt, we’ll use our relationships to gain you the best result possible. 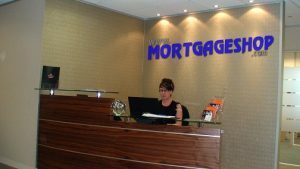 If you try to source your own arrangements it can be tricky to find a lender to supply you with a shared ownership mortgage although several High Street banks and building societies do supply them you will find that getting accepted and finding the very best rate is quite tricky. You can trust our vast knowledge to help you get the best deal, we have a track record of providing clients with the funds to get you a shared ownership mortgage. Help us to help you get a step up into the housing market and secure your own property!